We have designed this itinerary with the combination of adventure and sightseeing tour for all age of people to the world’s most beautiful valley which is known as “heaven on earth” and to the base camp world’s 9th highest mountain. 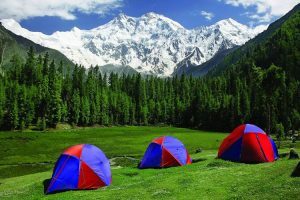 Fairy Meadows, named by German climbers (German Märchenwiese, ″fairy tale meadows″) and locally known as Joot, is a grassland near one of the base camp sites of the Nanga Parbat, located in Diamer District, Gilgit-Baltistan at an altitude of about 3,300 meters above the sea level, it serves as the launching point for trekkers summiting on the Raikot face of the Nanga Parbat. In 1995, the Government of Pakistan declared Fairy Meadows a National Park. The grassland is surrounded by thick alpine forest. The high altitude area and north-facing slopes mostly consist of coniferous forest having Pinus wallichiana, Picea smithiana and Abies pindrow trees, while in the high altitude areas with little sunlight are birch and willow dwarf shrubs. The southern slopes are concentrated with juniper and scrubs, namely Juniperus excelsa and J. turkesticana. In the low altitudes, the major plant found is Artemisia, with yellow ash, stone oaks and Pinus gerardiana spread among it. Research has suggested similarities between Pinus wallichiana found in the meadows with a sister species, Pinus peuce, found in the Balkans, based on leaf size. Researchers have found thirty-one species of Rust fungi in the area. 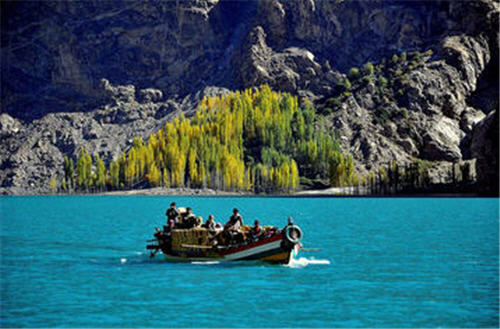 Hunza is a mountainous valley in the Gilgit–Baltistan region of Pakistan. 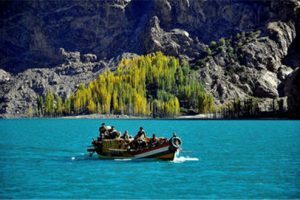 Hunza is situated in the extreme northern part of Pakistan. It was formerly a princely state bordering Uyghurstan also called Xinjiang (autonomous region of China) to the northeast and Pamir to the northwest, which survived until 1974, when it was finally dissolved by Zulfikar Ali Bhutto. The state bordered the Gilgit Agency to the south and the former princely state of Nagar to the east. The state capital was the town of Baltit (also known as Karimabad); another old settlement is Ganish Village. 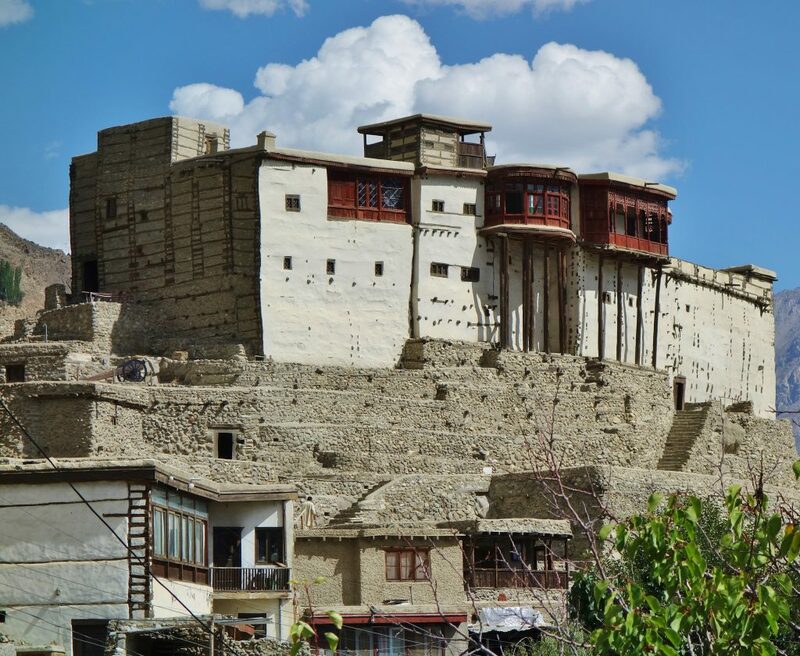 Hunza was an independent principality for more than 900 years. 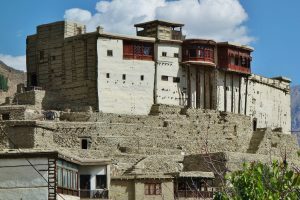 The British gained control of Hunza and the neighbouring valley of Nagar between 1889 and 1892 through a military conquest. The then Mir (ruler) Mir Safdar Ali Khan of Hunza fled to Kashghar in China and sought what would now be called political asylum. 01 Arrival at the airport in Islamabad,our guide and driver will meet you here and take you to your hotel for overnight stay. 03 Drive to Raikot bridge and transfer to 4WD jeep for onward drive to Tatto, arrive at Tatto and start the 2 and half hours trek to Fairy meadows . 04 Day to explore around Fairy Meadows or visit Nanga Parbat Base Camp. 05 Trek down to Tatto and drive to Passu/Gulmit. 07 Day to explore around Gulmit/Passu, Visit Passu glacier, Hussaini suspension bridge, Old house Gulmit, Attabad Lake. 11 Drive to Islamabad, arrive and explore the city, in the evening drive to the airport and fly to your destination.